Congrats to Lauren! Friday she was officially announced as Co-Host on Cosmo and the Y107 Morning Show. However, Cosmo wasn’t okay with making it that easy. In the past few months he’s learned what she hates. One of those things is taking a selfie. 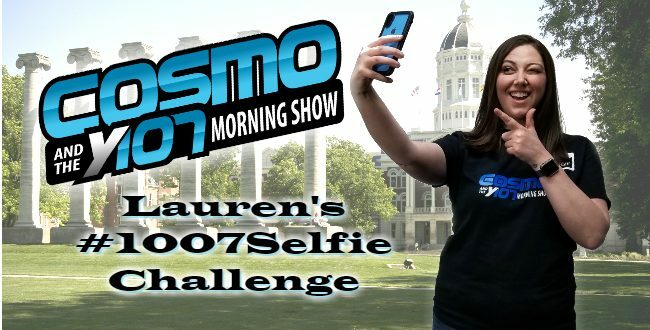 So, to officially earn her place on the show, he had one more task for her; she needs to take 1007 selfies with listeners. Why not 107? Because 107 is too easy. Have you been a part of the quest for #1007Selfies? Check the gallery below for her progress.